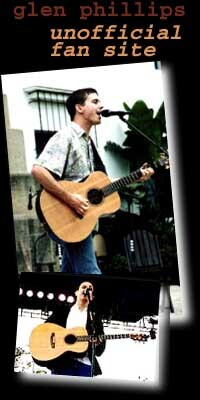 Glen Phillips was the lead singer for Toad The Wet Sprocket on Columbia Records from 1986 until 1998. He is now touring as a solo act with his awesome voice we all know, his acoustic guitar, and his exceptional songwriting abilities. 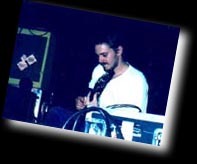 If you've been a Toad The Wet Sprocket junkie, then you'll love his solo work. If you haven't yet, check out his music! You can check out his short biography on his official site.